Product prices and availability are accurate as of 2019-04-21 12:56:20 UTC and are subject to change. Any price and availability information displayed on http://www.amazon.com/ at the time of purchase will apply to the purchase of this product. 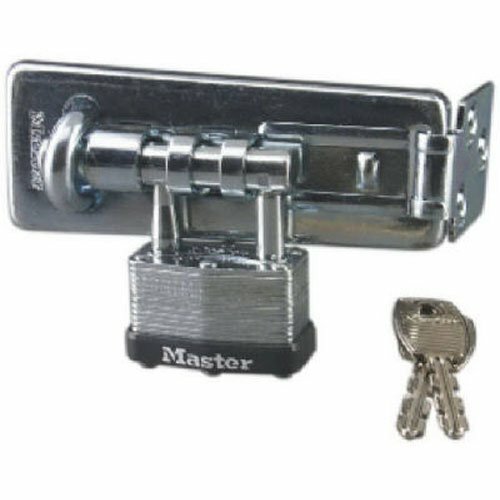 4-1/2 inch long, warded hasp lock, lock included, WEIGHT 6-1/4 Lbs, lock included, hardened steel finish, carded. The product is manufactured in china. Easy installation and easy handling.